NATO allies meeting in Brussels made a "tremendous amount of progress" as they agreed to boost defence spending, U.S. President Donald Trump said at the end of their two-day summit in Brussels. 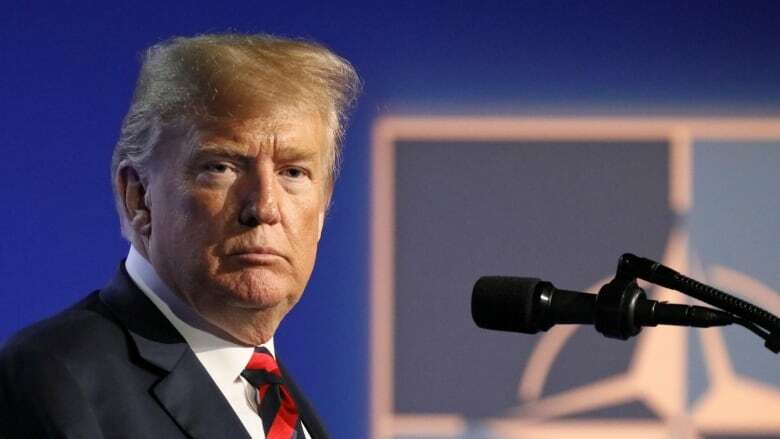 U.S. President Donald Trump closed out his chaotic two-day visit to NATO Thursday by declaring victory, claiming that member nations caved to his demands to significantly increase defence spending and reaffirming his commitment to the alliance. But there were no immediate specifics on what Trump said he had achieved, and French President Emmanuel Macron quickly disputed Trump's claim that NATO allies have agreed to boost defence spending beyond two per cent of gross domestic product. "The United States' commitment to NATO remains very strong," Trump told reporters at a surprise news conference following an emergency session of NATO members held to address his reported threats to withdraw from the alliance. 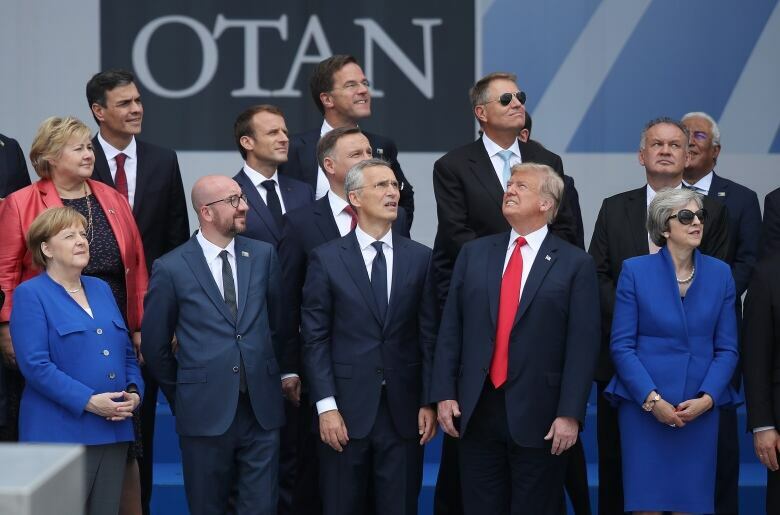 Trump had spent his time in Brussels berating members of the military alliance for failing to spend enough of their money on defence, accusing Europe of freeloading off the U.S. and raising doubts about whether he would come to members' defence if they were attacked. Trump did not specify which countries had committed to what, and it remained unclear whether any had changed their plans. He seemed to suggest a speeded-up timeline, saying nations would be "spending at a much faster clip," which if it panned out would mark a significant milestone for the alliance. "Some are at two per cent, others have agreed definitely to go to two per cent, and some are going back to get the approval, and which they will get to go to two per cent," he said. U.S. leaders for decades have pushed NATO allies to spend more on defence in an effort to more equitably share the burden in the mutual-defence organization. NATO countries in 2014 committed to move toward spending two per cent of their gross domestic products on defence within 10 years. NATO has estimated that only 15 members, or just over half, will meet the benchmark by 2024 based on current trends. "We committed in the declaration yesterday to the  Wales agreement — and you can triple-check the wording in that — which moves us toward two per cent and mostly importantly reverses the decline in military spending that happened across NATO allies, including in Canada under the previous government," Canadian Prime Minister Justin Trudeau said at a closing news conference. Macron, in his own news conference, seemed to reject Trump's claim that NATO powers had agreed to increases beyond previous targets. He said the allies had confirmed their intention to meet the goal of two per cent by 2024 and no more. Trump had taken an aggressive tone during the NATO summit, questioning the value of an alliance that has defined decades of American foreign policy, torching an ally and proposing a massive increase in European defence spending. He complained the United States "pays tens of Billions of Dollars too much to subsidize Europe" and demanded that member nations meet their pledge to spend 2 percent of GDP on defence, which "must ultimately go to 4%!" Trump tweeted that NATO countries "Must pay 2% of GDP IMMEDIATELY, not by 2025" and then rattled them further by privately suggesting member nations should spend 4 percent of their gross domestic product on defence — a bigger share than even the United States currently pays, according to NATO statistics. "As we engage Russia we must do so from a position of unity and strength — holding out hope for a better future, but also clear and unwavering on where Russia needs to change its behaviour for this to become a reality," she said. On Wednesday, Canadian Foreign Affairs Minister Chrystia Freeland said there are significant Western sanctions against Russia for a reason. "Canada believes in those sanctions. Those sanctions will and need to stay in place as long as Russia's illegal actions remain in force. When it comes to Nord Stream, Canada has significant concerns about that project." Trump next headed to the United Kingdom on Thursday. 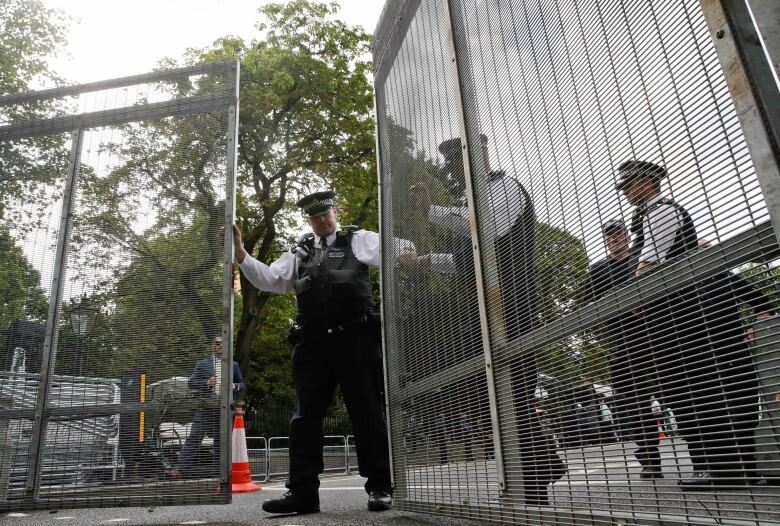 Although Trump administration officials point to the longstanding alliance between the United States and the United Kingdom, Trump's itinerary in England will largely keep him out of central London, where significant protests are expected. Instead, a series of events — a black-tie dinner with business leaders, a meeting with May and an audience with the Queen — will happen outside the bustling city, where Mayor Sadiq Khan has been in a verbal battle with Trump.